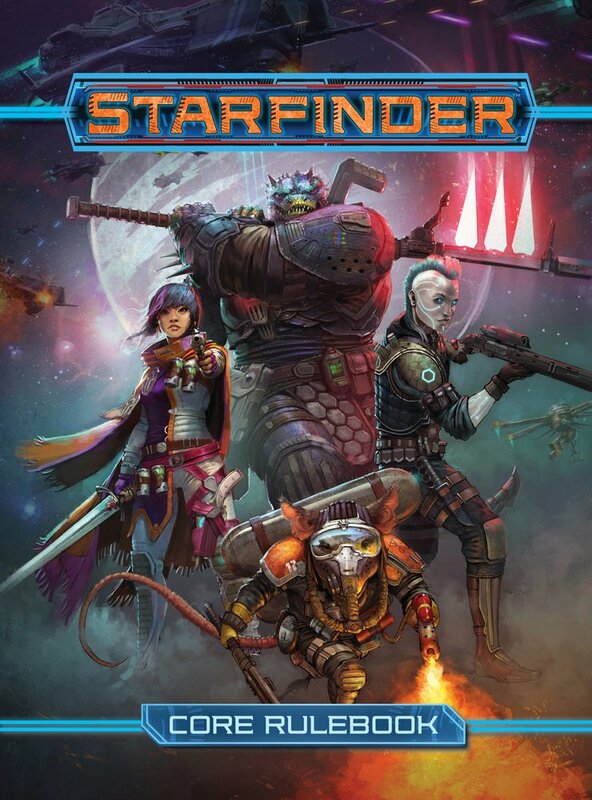 Although August 17th is still a week away — that’s the official street date — Paizo, Inc’s science fantasy role-playing game Starfinder has been finding its way into customers hands already. Some who pre-ordered the core book have received it and some folks (like myself) have gotten their download links for the PDF copies as subscribers. The big drop is not until GenCon, of course, but it is nice to get to see it early — and get ready to run some impromptu games at GenCon if I can find an empty table and some interested parties. Given how quickly the official Starfinder events sold out, I don’t imagine it will be too difficult. I don’t really do reviews, and even if I did I have not had enough time to really digest the book or play the game so a review would not be appropriate at this point anyway. That said, I thought I would give my thoughts on Starfinder. If it helps someone on the fence decide one way or another, or makes someone still waiting for their copy to turn green with envy, I’ll call it a win. First and foremost, the art in this book is just gorgeous. Paizo has not put up an official art gallery for the game yet but some of the game’s excellent art can be seen in various block posts. The whole core book is full of great images like that one. I would be hard pressed not to shell out a sizable wad of cash for a Starfinder art book right now. I imagine the wealth of wonderful sci-fi/fa art from the game is just going to continue to grow. As far as the core system for Starfinder is concerned, it is very close to the same as Pathfinder, which itself was a revised and expanded iteration of Dungeons & Dragons version 3.5. I have not played Pathfinder in a few years (essentially since D&D 5th Edition was released — the last time I was at GenCon!) but from what I understand some of the new rules in Starfinder come from a book of options called Pathfinder Unchained — which is analogous to D&D’s Unearthed Arcana variant rules collection. I can see how people that do not care for Pathfinder’s relatively heavy rules set will be turned off by Starfinder, and how some Pathfinder purists will be bothered by some of the changes in Starfinder. Those that will have it worst I think are those Pathfinder fans who jumping feet first into Starfinder. They are likely to run into a lot of small rules changes for actions, feats, abilities and spells with the same or similar names as those in Pathfinder. I expect a lot of accidental legacy rules calls in the near future. Starfinder is chock full of great new ideas, from the races and classes to the mix of magic and technology to the starship combat system in which every character has a role to play as something like the “bridge crew”. Like Pathfinder, Starfinder relies on well worn but successful tropes. Among the races there are recently freed hive mind insectoids, biomechanical androids that made it through their own singularity, and warlike lizard-folk Gorn-with-the-serial-numbers-filed-off called Vesk. Among the classes and archetypes are scoundrels with hearts of gold, space marines with really big guns and power armor, and no-we-totally-aren’t-Jedi called Solarians. This isn’t to bag on the game for its choices. Pathfinder is based on D&D and D&D is a game of tropes and stereotypes that excels when both companies and individual campaigns find a way to use those tropes in unique ways and surpass them. That there are small ratlike people that are good at stealing things in Starfinder is not a bug, but a feature. Especially when the ability of said race to hide objects in their furry little cheeks is detailed. One idea that is less of a trope is the marriage of magic and machine in the game. Often times in games or fiction where both magic and technology are present they are at odds. Not so in Starfinder. The world of Starfinder was a D&D inspired fantasy world that developed naturally to its high tech future (exactly when and how is an open question built into the setting, but that’s neither here nor there). Thus, character options like the technomancer appear: a wizard whose magic is as much about manipulating technology as it is about summoning monstrosities from the outer planes or casting charm person. High tech weapons can be engraved with magical runes to better fight undead cyborgs and dragon space pirates. 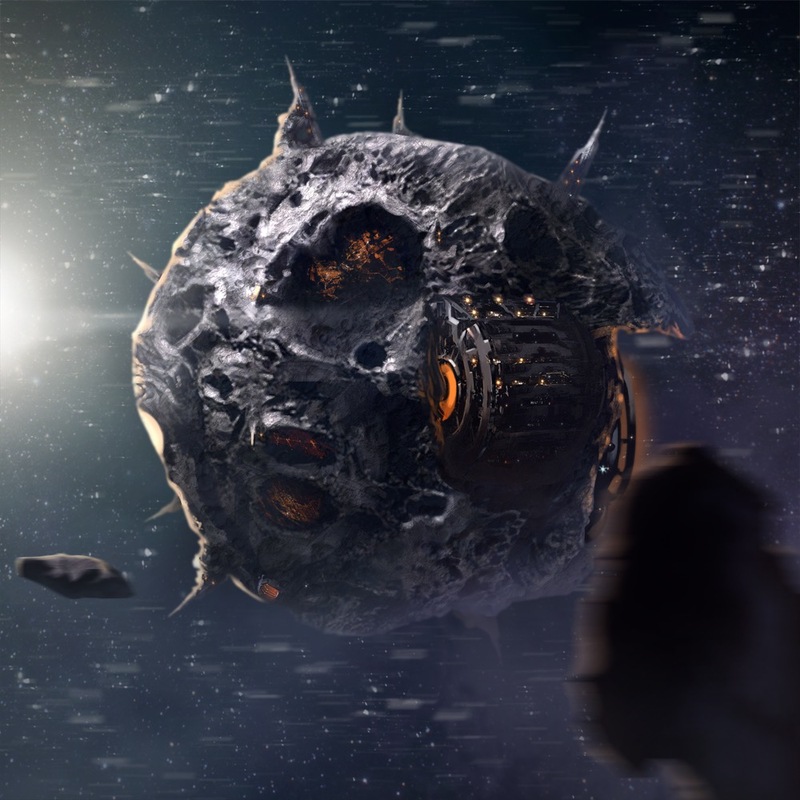 Starfinder is not just space opera a la Dune or Star Wars — it is true space fantasy. 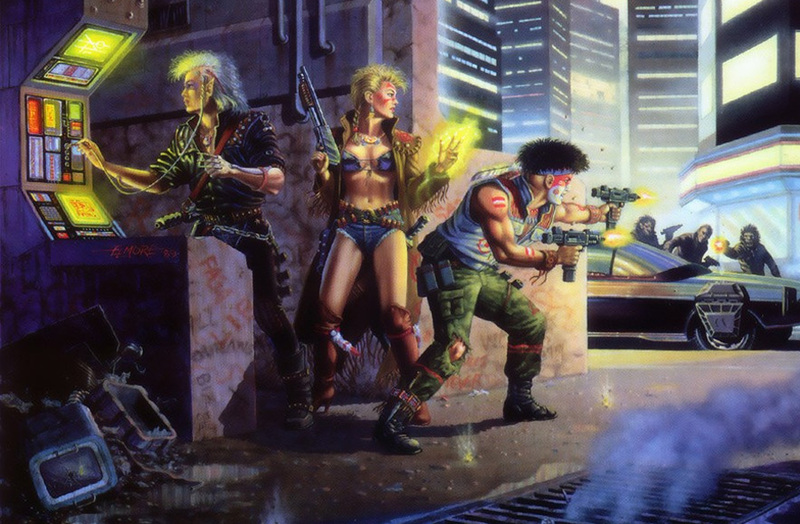 It is to space opera what Shadowrun was to cyberpunk. If there is a fault in Starfinder it is that — like Pathfinder and D&D both — it is not complete even in its 500-odd page core rule book. There are no monsters in the core rulebook (aside from space goblins, as an example of how statblock is read) nor any adventures. The latter are coming in October’s Alien Archive, and the latter can be found at launch with the first installment of the Dead Suns Adventure Path (which incidentally includes some monsters as well). It is nice that conversion rules are given for Pathfinder monsters and characters so GMs not content to or interested in using a pre-packaged adventure have options. There is also the Free RPG Day booklet First Contact which serves as a sort of Alien Archive primer, though not all the creatures in it will be appropriate for beginning adventures in the Starfinder universe. Enterprising Starfinder GMs should have no trouble cobbling something together, but it would have been nice for a simultaneous release of the Alien Archive rather than, say, cardboard standee pawns or shiny flip mats. Now that I have it in my hands — at least in digital form — I am still All In for Starfinder. I am going to run it as often as I can in the near future — I will cut my teeth at GenCon as mentioned above; stay tuned here for news on that front! — and am committed to running a rollicking Starfinder mercenary open world game at Carnage called “Dropship Murphies.” If you are in Vermont in November, come see us and drop in at my table!